In my post last Thursday, I laid out why I thought the 737 MAX shouldn’t have been grounded with the information we knew at the time. Some readers took that as me standing behind Boeing, but that’s not the case. Even if the airplane is safe to fly, it should be safer than it is. Boeing should absolutely shoulder blame here. Though we don’t know for sure if the same issue that caused the Lion Air crash last year caused the Ethiopian one, let’s look at that particular issue in more detail. Lion Air flight 610 had just departed from Jakarta on October 29, 2018 when the pilots almost immediately reported flight control problems and asked to return to the airport. They never made it and crashed into the sea shortly after. While the investigation hasn’t been officially finalized, it seems pretty clear what happened here. On the four previous flights, the airspeed indicators had malfunctioned and apparently hadn’t been fixed. On the flight right before the accident, there was a 20-degree disagreement between the angle of attack sensors, and that caused the airplane to put itself into a dive. The pilots overrode that automation and landed safely. Apparently Lion Air didn’t bother fixing the problem after landing, because this is exactly what happened on the ill-fated final flight of the aircraft as well. This time, the pilots didn’t override the automation. Had maintenance properly fixed the airplane or had the pilots overridden the automation, the flight would have landed safely. But it didn’t, and now we’re all learning more about the details of how that automation works. If this airplane had not crashed, the general public would never know about the Maneuvering Characteristics Augmentation System or MCAS for short. The problem is, pilots didn’t know about it either, and that’s the first concern. MCAS didn’t exist on previous 737 models, but it was introduced on the MAX because of the engines on the airplane. The MAX uses bigger engines, and since Boeing uses a 50+ year old airframe that was designed for much smaller engines, it had to find a way to fit these new beasts on the wing while keeping the airplane airworthy. As you can see above, since the new engines were so big, they had to be fit higher up to give enough ground clearance. To do that, Boeing moved the engines further forward and up, out from under the wing. Because of the placement of the engines, when pilots push up the throttle on this airplane, the added thrust can push the airplane’s nose up too much, particularly in tight turns. As a safeguard, MCAS reads the angle of attack measures (here’s an explanation of what that is) to determine whether to act. If the angle of attack starts getting too high, the MCAS kicks in by adjusting the horizontal stabilizer trim tabs (small surfaces that adjust to keep the airplane in stable flight) on the airplane to bring it back down when it’s being flown by hand. That means if autopilot is engaged, MCAS doesn’t kick in. Also, if flaps are deployed, so on initial departure or on final approach, then it also won’t kick in. Boeing says that the MCAS was in the manual but that has been disputed by airlines operating that airplane. Even if it was in the manual, that wasn’t enough. Boeing acted like this was just a minor automation that would only slightly adjust the airplane in extreme circumstances. But it wasn’t designed that way. And if there’s bad data being fed into the system, it can prove deadly if the pilots don’t react properly. In the Lion Air accident, the two angle of attack sensors were off by 20 degrees. This was known to be an issue before the flight, and Lion Air didn’t properly fix it. Lion Air also didn’t select the optional indicator that would alert pilots to an angle of attack measurement discrepancy, so the pilots wouldn’t have been alerted to that. Because it wasn’t fixed, MCAS misinterpreted what was happening to the airplane and it adjusted the trim to bring the airplane’s nose down multiple times. In this case, the pilots recovered, but then MCAS kept trying to lower the nose. Eventually the pilots lost control of the airplane. Naturally, the question turned to the MCAS. Was it enough to have this in the manual? Or should the pilots have been trained on the existence of this system? Everyone now agrees that pilots should have been trained, and that did finally happen immediately following this accident… though Boeing was clearly pushed into it. While there’s no question that training for this scenario is good, the reality is that the response to a trim problem is the same whether the MCAS caused it or not. These pilots should have been able to save the airplane, just as the pilots did on the previous flight. It’s important to repeat this point. This has nothing to do with MCAS alone. If there is any trim-related problem, this is the procedure to shut off auto-trimming and take manual control. That is something pilots are trained for. Regardless of how easy it should be to counter MCAS, that doesn’t minimize just how poorly this system appears to have been designed by Boeing. Incredibly, the MCAS was designed to act with the input from just a single angle of attack sensor even though there is more than one onboard. In the case of the Lion Air accident, it apparently saw the faulty reading and acted. Had it bothered to compare both readings to see the discrepancy, then that would have prevented the automation from acting. Side note: Why are the angle of attack sensors having these discrepancies on a brand new airplane? Is it the sensor? Or is it how the data is being interpreted? This is something that deserves closer scrutiny. Also surprisingly, the trim adjustment is really aggressive. As Boeing describes it, in the new software release the trim adjustment will now be limited so that faulty readings from the angle of attack sensors won’t create the large upset that we’ve seen. This is also mind-boggling that it wasn’t designed this way initially, because the updated response is more than sufficient to correct an angle of attack problem, it seems. Lastly, why was the system designed to continue acting even if the pilots are pushing back against it? If the auto-trim is left enabled, the pilots can still try to counteract the nose-down attitude through the control wheel. Even if they succeed, the MCAS will continue trying to push the nose forward. That is flawed logic. All of this is going to be fixed in a future software update that Boeing is furiously working on now, but it remains extremely hard to understand why this was designed this way in the first place. There is a lot more detail here, if you’re interested. Where does this leave us? Well, when the software fix comes out soon, it will, as Boeing says, make an already safe aircraft even safer. We have to remember that even without the software fix, it is very easy to override the system. Good pilots should have no trouble with it even if it was poorly-designed. There is one other thing to keep in mind… we still don’t know if this was a reason for the crash of Ethiopian flight 302. If MCAS was involved, as the aircraft track makes it appear, we don’t know that there weren’t other issues that complicated the situation. For example, there were reports of smoke and possibly debris trailing the aircraft before the airplane crashed. While we have no idea if this is true since eyewitness reports are often unreliable, if it is, it could certainly have made for a much busier cockpit. Just imagine if there was a fire or a bomb or something else onboard. That combined with the activation of the MCAS could have wreaked havoc. Or what if the pilots did everything right and MCAS still didn’t deactivate? Well then we have a whole different, MUCH more serious issue that could keep that airplane grounded for a long time. We really need the black boxes to tell us more, and it sounds like that information is starting to come out. Regardless of what we find out from the black boxes, we know that there is a lot Boeing did in the design process that can and should be questioned. The fixes that are being planned will improve safety further, but that doesn’t mean Boeing will get out of this easily. Boeing is going to feel a whole lot of pain from the decisions it made, and I don’t think anyone feels sorry for the company. This is quickly turning in a full-blown PR crisis. I haven’t trusted Boeing fully since they left Seattle. They wanted to be closer to DC so they could cozy up to government easier. It will be interesting to see how this plays out. May the victims RIP. What does trust have to do with location? Also great article Cranky. Do any other Boeing models have MCAS? Does Airbus have an equivalent? Lockheed – Not that I know of. This was a Boeing invention to try to counteract the unique problem of a 737 being so low to the ground. I believe airbus is fly by wire (meaning all controls are probably going through computer) so really it’s whole flight system might be considered an equivalent. They wanted to be closer to DC, so they went to Chicago?! Because it was the extra couple of hours on a plane that would make much difference in terms of influence. If anything, moving to Chicado diminished their influence with the government, as the FAA office there is dominated by the relationship with GE, while the one in Seattle is all about Boeing. I don’t think my former roommate likes hyperlinks, but google backstory and the person who led the search term specifically said better access to DC was key. Last I checked, Boeing still had a presence in the Seattle area. And pretty much every major defense contractor you’d care to name has a presence in the DC area, whether it be a field office or their headquarters. Boeing, as a huge supplier to the government, would be negligent to their shareholders not to have a presence in DC. Interesting also that the federal government is now looking into the relationship between Boeing and the FAA, and why they didn’t require a new type rating certification for a drastically new airplane. 1. The relationship between the FAA and Boeing is a serious problem and it sounds like this has been for awhile. From what I can see, the FAA has a some damn good people but they have to regulate and ask hard questions and this looks to be a fail to me. 2. In a life critical situation, redundancy is key. Boeing had many, many options as to how to backup the sensor if and when it failed, such as using both senors in making the software decisions. This is hard to believe that people who make redundant systems for a living – just look at the rest of the plane, there is redundancy all over the place – would think that creating a single point of failure was fine. It sounds to me like the categorization of the sensors was incorrect (it is categorized as having a failure rate so low that just having one of them is OK) and someone or something massaged that to make it acceptable. If you are a redundancy business, you build a plane with multiple sensors and just decide to use only one because it “should” be reliable, this is unacceptable to anyone who deals in redundancy for a living. Something isn’t right here – if the accountancy won (happens too much these days) or if this was just simply deemed OK, I will not be shocked when or if there are a bunch of messages leaked or subpoenaed from Boeing that this design flaw was ignored and management knew about it. This is mind boggling. 3. The mandate for training is on the FAA. 4. I applaud the US based airlines that had the foresight to order the option of the display that can show the redundant sensor so the pilot and co-pilot to confirm that the sensor is or is not working. They and their Pilots are what would make me feel safe on this plane. The plane itself is seemingly just fine, but Boeing has work to do and should be responsible for their choices and designs in the same way they are responsible for their profits. The FAA needs to be properly funded and staffed so it can do the job and not be pressured by the entities it is supposed to be regulating. Practically, the plane will need to be tested with the fix and put through its paces. From what I can see, this is a good plane that can do the job it is designed to, but other items need to be addressed properly. Thanks again Cranky – this is a good write up. Now if the people we have elected, or otherwise have been allowed to assume a position of responsibility, will exercise the common sense to see that our government stays open every day, all year, and our FAA people can go to work, get trained, do their jobs, and be paid…! But, the future does not look good. As a UA customer, it will be a long time before I book a flight on one of its MAX 9s. I will not be booking a 737, any version, to Hawaii. I am still a big fan of Boeing, just not its 737. I still love the 757, as I did the 747. Rational? No, but a customer can do what he or she wants and if the company wants to stay in business, it will take note. Regardless, I appreciate your posts immensely on this matter, CF. The prior generations of 737 – (737-300/400/500, which is the Classic, and the Next Generation series, the 737-600/700/800/900) have been in service for literally decades to the point where you can take their safety record to the bank based on incredible number of safe flights flown. Avoiding those aircraft is just silly. The 737 is an unpleasant aircraft to fly in – whoever’s metal it is. Like JayB, I love plenty of Boeing planes, just not the 737. I wouldn’t avoid flying it because of a few incidents, I would avoid flying it because it’s cramped and uncomfortable. So, ‘avoiding (these) aircraft is’ not ‘silly’, it’s simply a matter of preference, which we are all entitled to – even you, enplaned. I call them “Boring 737s” becuase they just seem to lack personality. The Mad Dog 88 on the other hand is a cool plane, low or no bypass engines on the back (don’t see that much on anything but rjs), smell of the jet fuel, takeoff like a rocket. I’ll be sad when those are gone. You may be interested to know that the MD80 and all the aircraft with t-tails and rear mounted engines have similar systems to prevent what is known as a deep stall. At high angles of attack, the wing blanks the airflow to the high mounted horizontal stabilizer preventing stall recovery. The British BAC 111 crashed during initial testing in 1963 as a result of this. The fix was the use of a stick pusher which forced the nose down before the stall. I could not agree with you more about any 737. I won’t fly in any of them. First class in a 737 is equivalent to economy in the MD series of jets. United Flight 585 and Eastwind Flight 517. Good analysis. I heard that they recovered the jackscrew from Ethiopian 302 and it was in full-down position. Would certainly seem like the MCAS kicked in as no right minded pilot would do that so close to terra firma. On the last post about the MAX my comment was hoping that this would move Boeing to do a new clean sheet design. The accountants pushed the MAX on us but realistically the 737 was obsolete the day the A320 series debuted. Sure, it could be made competitive but industry leading….nope. I want to see Boeing succeed. Arguably they’ve been the commercial aviation leader for generations. The 737 was part of that – in the 1970’s. Time for a new single aisle short-to-medium range aircraft. The A320 series is 30+ years old too so realistically the duopoly is in need of something new. In the meantime – I’m glad that I fly Delta. There is a replacement for both the 737 and 320 -it comes in 2 versions and still has a lot of stretch for a potential 3rd version. It’s the plane which prompted Airbus to launch the NEO and Boeing’s reply to the NEO, the MAX. And it’s flown by Delta. Today it’s known as the Airbus 220. Not being an aeronautical engineer, my opinion on the MAX problem isn’t worth too much. But I do know something about how the airline and airplane businesses works, and how they interact with government and the media. I agree with Cranky that it looks likely that there are 2 significant problems here: 1) a software-based problem brought about by a less-than-ideal design modification; and 2) a pilot training problem. In layman’s terms, the MAX is currently not idiot-proof. That’s an exaggeration, of course. I’m sure the pilots who crashed these planes weren’t idiots. More likely, they just didn’t have the level of training that USA-pilots get. It’s why the USA pilots say the plane is safe while their non-Western colleagues overseas are obviously having problems. It’s risky to jump to conclusions (we still need more data from the Ethiopian crash), but my guess is that a software fix and a training fix will get the MAX back in the air within a month or so. And that after a few more months of passenger anxiety (humans are humans), this problem will be forgotten about. That will be good news for Boeing, for the airlines, and for their passengers. If seems like the 737 MAX was a hastily planned project that was in reaction to the A320neo. Also, from what I could tell, the 737 MAX needed a lot more modifications than the A320neo because the MAX needed a place for these larger engines while the 320neo didn’t. I’m curious on how much of an effect the pressure to meet the timeline and the fact that this new software required little additional training had on these incidents. Time will tell. Shouldn’t the optional indicator be not optional? for those of you too young to remember the 727 crashes, lots of folks died before pilots and boeing learned how to even fly the plane. That plane turned out to be the workhorse and the safest in history (jet age) American trained pilots and the system of getting into the left seat are the best in the world. In many countries, who you are (as pilots) trumps expertise and experience. It is a very macho job in many places. The problem, I believe, is an over reliance on cockpit automation which allows for “stick and rudder” flying skills to atrophy. Flight crews need to be trained to quickly switch off automation if newcessary and manually fly the aircraft. I must give kudos to the detailed explanation, including images of the cockpit to explain the system. I’d not like to discount any of the analysis, but want to say, it takes months by seasoned investigators and experts to recreate why an air tragedy happened and to take preventive actions to fix the problem. We must not jump to conclusions. To the point of favoring Boeing, we now have some idea how Boeing and FAA like to do business (https://skift.com/2019/03/18/boeing-737-max-design-certification-comes-under-scrutiny/). Even a whole investigation by DOT in 2012 didn’t deter them. I am not suggesting Boeing bribed (or lobbying as some like to call it) its way through FAA/Govt. But clearly there is a link. In today’s day and age of technology and advanced avionics, a not so proven plane was sold and money being made by cutting corners. Result: over 300 lives lost. If we rise a little above money and politics; Boeing must pay the price. 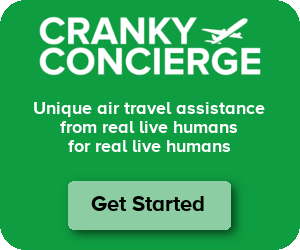 Cranky, from your clients POV, your writing was correct. Both the airlines and Boeing said exactly what you said. It’s interesting that the “traditional media” was much more aggressive towards Boeing while the advertorial and credit card bloggers supported their clients line. That could also be because the regular media knows nothing about the airline industry while the “bloggers” are passionate av-geeks who study and learn about the industry for fun, and a living. This would be the effect if engines were *LOWERED*, because the center of thrust is further away from the center of mass. With the MAX, the engines were moved HIGHER and FORWARD — the problem being that the engine nacelles generate substantial lift, therefore the overall center of lift has moved forward, which the stabilizer must counter. I was calling for grounding the day after the Ethiopian crash since there was enough information about erratic rate of climb/descent to suggest that it was like Lion Air. The 737 Max does not appear to be “safe” if both crashes are linked to MCAS. The question is whether MCAS is even needed. If so, is it or a replacement the right path or a major redesign of the aircraft. Personally, I have no plans to ride on a 737 Max in the next year or two. At this point I do not trust it and question whether Boeing and the FAA can be counted on to make the proper changes. To that end, a third party that is not beholden to either Boeing or the FAA needs to be involved. Unlike light aircraft, the 737 trim system doesn’t move small tabs on the tail, it moves the entire stabilizer. The elevator is attached to the stabilizer (no trim tabs). Hmm… this is going to get messy. It feels like you may be missing a very important point with your evaluation, Mr Snyder. Up to the MAX, commercial airliners approved for passenger service always have had a balanced center of gravity (which means that in the case of an upset, the airplane would naturally settle back down just on trim), thus all automation was solely for the sake of AIDING the pilots. The MAX, out of cost considerations by Boeing, is the first commercial airliner that is not balanced in some parts of the flight envelope (steep climbs on take-off, tight turns, etc). Here the automation now for the first time becomes essential to keeping the airframe airworthy. If this weren’t so, Boeing could have just instructed its clients to de-activate MCAS. But they didn’t, because they couldn’t. That means the MAX can’t fly safely without computer augmentation. That’s a paradigm change, and it’s inexplicable why the FAA felt compelled to just waive that through (it certainly can’t have helped that Congress has strung along the FAA on short-term budget extensions for going on a decade now). What are the implications that I think you have missed, Mr Snyder? If a computer system no longer serves pilots in flying the plane, but becomes essential to keeping the plane flying, it necessarily competes with the pilots for authority over control inputs. Pilots are no longer the ultimate decision-maker. And a failing computer system means pilots now have two things on their hands at the most inconvenient time: for one they have to keep a possibly unbalanced aeroplane flying in a high-stress situation, and they also have to battle a computer system that no longer is solely designed to serve and aid them, but is actually actively trying to kill them. The FAA is/was a highly respected authority in worldwide aviation regulatory circles, so much so that for example its European equivalent, against internal misgivings, relented and applied the US type certificate for the MAX to its jurisdiction, too. As with many things America these days, the shine comes off. Already, the Ethiopian authorities sought assistance for reading out the black boxes from anyone BUT the FAA or NTSB, because they no longer trust us. The Germans lacked the technology, so the French agreed. It certainly does not seem like America is getting any greater these days. Nice recovery, Brett. This is the balanced article that you should have written back then. Yes, you were standing behind Boeing (can’t say I blame you, but as I know 2 of the victims I’m biased too). I think this change of heart is based on new info and the Seattle Times article, even though you didn’t dive deep into the shocking details that were disclosed in that article. Still, it’s a principled stand and your course correction is highly appreciated. NO it is not that easy! Condition: Continuing rotation of the stabilizer trim wheel in a manner not appropriate for flight conditions. Do not re-engage the autopilot. column and main electric trim as required. Note: Flight may not be permitted in RVSM airspace. That mean MCAS is disengaged for 10 seconds after number 3! After 10 seconds MCAS start again -> rework the checklist…. Groundhog day. You never get to number 4! That’s not true. Once the stabilizer cutout switches are selected, MCAS is completely disabled. No more trimming will occur. It will also be very quick to get to step 3, since the autopilot would already be disengaged. using control column and/or electric trim -> MCAS will pause! REMEMBER: Pilots did not know about MCAS! The pause took as long as you use control column and/or electric trim. Here you get control of the MAX back! YOU NOT GO TO NUMBER 4 “Stabilize trim cutout switches” !!! When you stop using contol column and/or electric trim the pause will extend 10 seconds then MCAS start again. BTW In that link is also a picture of the real cutout switches of a MAX not the NG version cranky show in his report. It is NOT difficult and takes less than 5 SECONDS to accomplish. IF, at any time your problem goes away, STOP and…. do NOT turn on anything you just turned OFF. Continue flying MANUALLY… because that’s what a pilot is there for… to FLY THE PLANE ! ! ! And yes, after 19+ years as B737 Captain, I have encountered these scenarios dozens of times in simulators and three actual flights. The plane is FULLY FLYABLE with FULL NOSE DOWN TRIM! Surprisingly not nearly as difficult as it sounds! There are a couple of points to be made here. First, during the Lion Air flight immediately preceding the one that crashed, a jump seating Captain realized that they were, in effect, experiencing a runaway stabilizer trim condition and the flipped the two switches to disable the electric trim system. One has to wonder why this wasn’t noted and why the aircraft wasn’t grounded until the problem was diagnosed and corrected. One also has to wonder why the Captain and First Officer who were actually flying didn’t do this since the runaway stabilizer trim issue is one which is covered by “memory item” emergency checklist which the pilots must be able to do from memory. Finally, the 737-800 has the same issue with the underslung engines causing a nose up pitch when power is applied. The engines on the Max may cause a slightly more pronounced nose up moment, but the issue is fundamentally the same. Indeed, the same thing applies to all aircraft with underslung engines. The 737-800 stall escape maneuver specifically call for the nose to be lowered, the wings leveled, and airspeed to be allowed to increase before thrust is applied and thrust must be applied gently to avoid a secondary stall. Dumping on Boeing is getting to be a sport. There are several comments to be made with respect to your latest post. First, as you note, the Lion Air aircraft experienced related faults on several flights prior to the one that crashed and the faults were not corrected. Second, the crew did not correct the malfunction, a deadheading captain in the jumpseat did. One has to ask why the flying crew was not able to react to what is, essentially a runaway stab trim event correctly. This is a “memory item” procedure that they should have known. Lion Air seems to have a deficient safety culture from maintenance to operations. As for using only one angle of attack input instead of comparing the two, one could argue that the safest course is to believe the one that indicates the aircraft is in the most unsafe condition. If you compare the two, which do you believe? Remember, MCAS does not activate if the flaps are deployed, so activation near the ground is not likely. Finally, I would argue that well-trained pilots should have been able to cope with the situation. Southwest alone operated some 33,000 flights over 88,000 hours on this aircraft with no issues. American did the same, as did United, Air Canada, Westjet, and others. We don’t know much about the Ethiopian crash, but a 200 hour pilot in the right seat is troubling. Is it time to question the European practice of ab initio cadet programs that permit this? Could the system have been improved? Probably. Could the training have been better? Perhaps. There is also a groundswell of criticism of the design of the aircraft because it required such a system. Remember all the T-tailed aircraft we flew for years that required a stick pusher system to prevent a deep stall? This was perfectly acceptable at the time. People also criticize Boeing for making the angle of attack indicators and disagreement warning optional. You don’t need these to safely fly. These systems power the stall warning aural warning and the stick shaker so you have the protection without the indications. Finally, this is a competitive business. If the airlines are too cheap to add these items, some responsibility should rest with them. Before they became standard, you could purchase a car without a backup camera. Would you criticize the manufacturer if you backed into something? Heads Up displays contribute to safety but are not standard. Do we criticize Boeing for not making them standard? Perhaps it is not a coincidence that Southwest and American have opted for the AOA indicators and Southwest has opted for heads-up displays. Safety in aviation is a matter of shared responsibility between the manufacturers, the airlines and the pilots.